Ever wondered if you had the nose and skill to be a master blender? ​You will be able to find out soon !! We all know how fun whisky is and how enjoyable they are. But have you ever wanted to test your skills and see where are you at in the world of whisky or have an conversation with your friend on who is better at nosing whisky? This is the challenge for you and your friends. 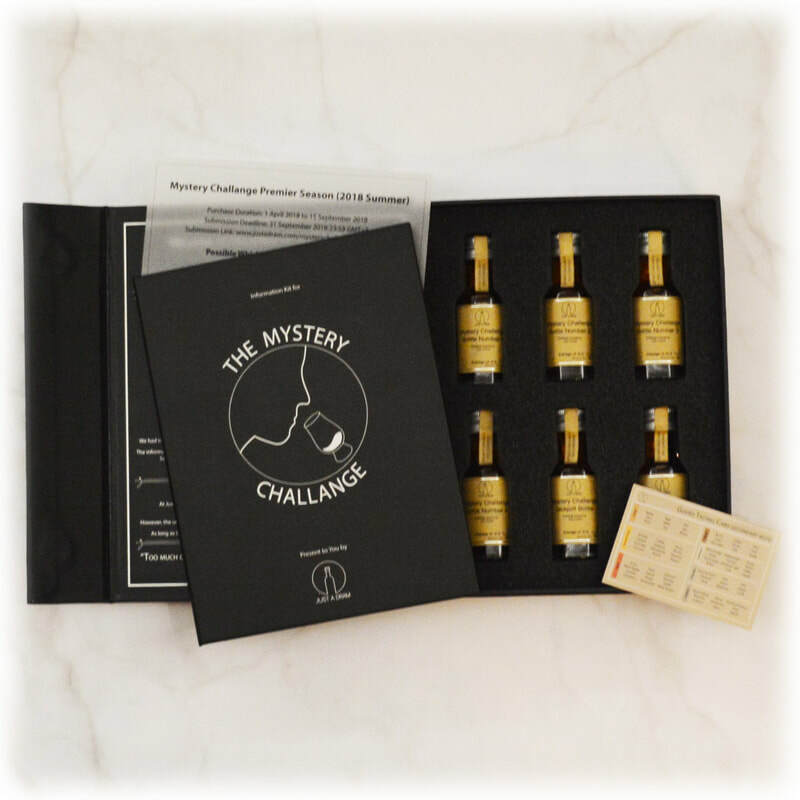 For this challenge, our malt master had selected 6 different whiskies around the world and put it in this set. However there is a twist to it! As you will see, there will be no information on all those bottles. The challenge for you is to make an educated guess on what you are drinking in each of these bottles. It might seems hard and stressful at first, however, we guarantee you will gain a lot more knowledge about whisky and you will have fun during the process. And of course you will get some prize if you are correct, if not what's the point? In the set, you will find six bottles of whisky sleeping in the box. As you will see, there is no information on the bottle other than the volume of the bottle, the average ABV across all six bottles and the batch number (which is required by law). You will also receive a challenge kit with the set. 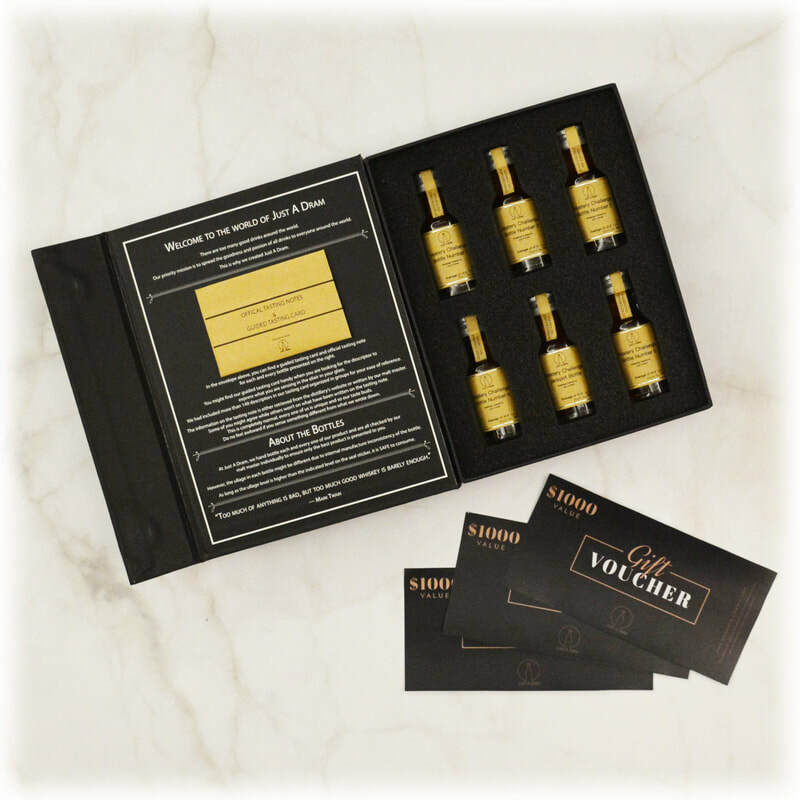 You can find the detail information about the current season in it including the deadline of submission, the possible whisky that is in the set and the most importantly, the Submission Verification Number (SVN) at the back of the kit which is required during the submission. ​Your goal is to determine what you are drinking in each of the bottle. Of course if you get them right you will win a prize from it! 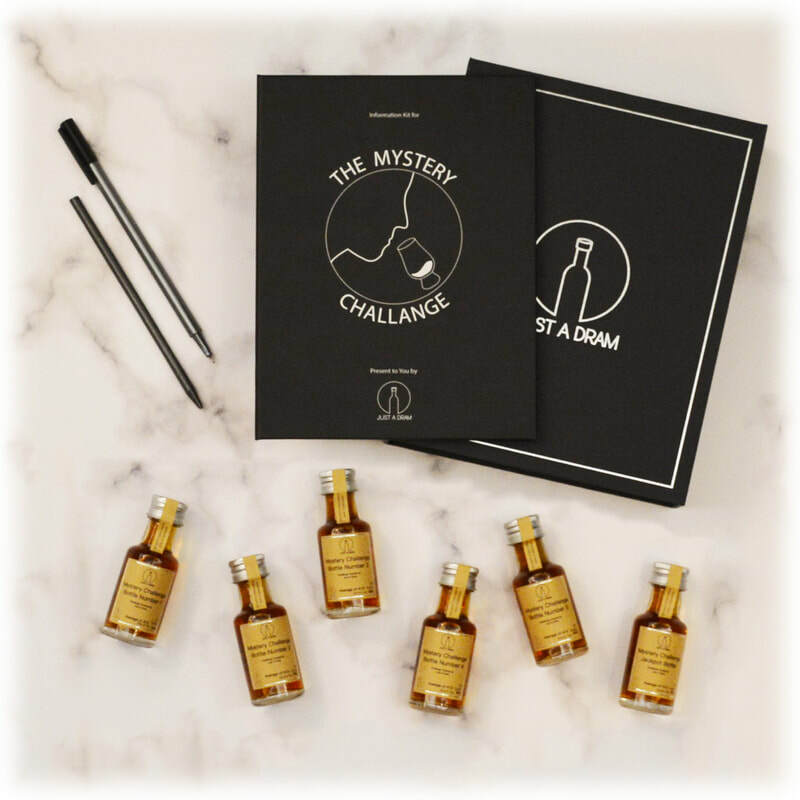 For bottle number 1 to 5, we had given you a choice from 30 whiskies printed on the information sheet contained in the mystery challenge kit. However for bottle number 6, there are no hint available and you need to use all of your senses and knowledge to determine what is in the bottle! 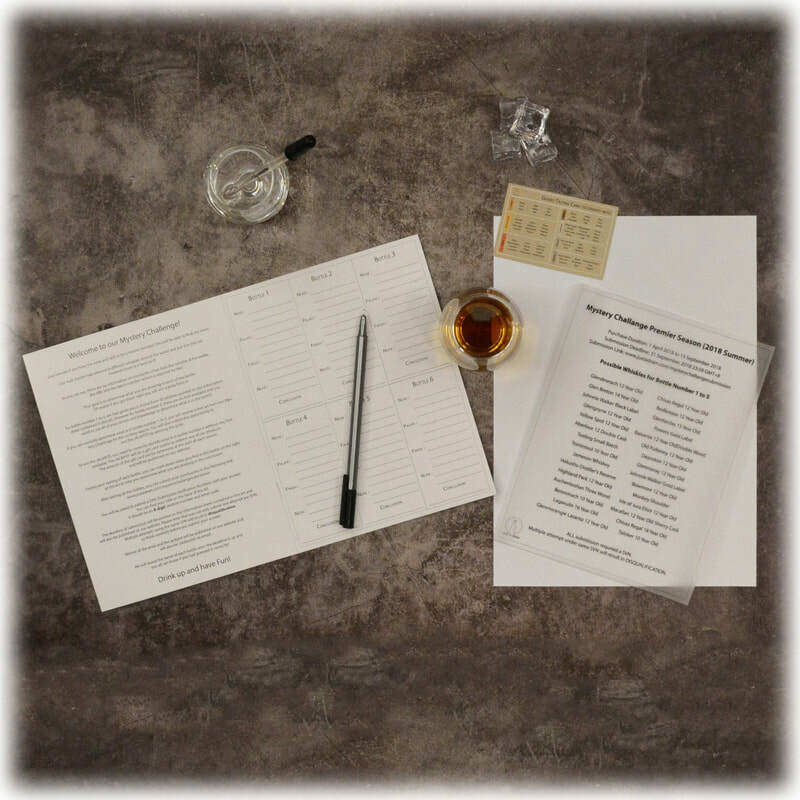 During your tasting of each bottle, you can mark down notes you find in the bottle on the notes section of the kit to help you determine what you are drinking in the conclusion. After tasting all the bottles, you can submit your conclusions here. Remember you only have one chance per purchase so think carefully before you submit your answers. If you can correctly determine what is in bottle number 1 to 5, you will receive a free set from our Mystery Challenge for the coming season. You will also unlock the opportunity to win the JACKPOT by winning the prize. To win the JACKPOT, you need to correctly identify what is in bottle number 6 without any hint available. The JACKPOT will be a gift card usable to redeem any of our products. The amount of the gift card will be determine at the start of each season as shown below. Winner of the prize and the jackpot will be published on our Winner and Result page and will also be contacted via email. We will reveal the name of each bottle here once the deadline is up and you all can know if you had guessed it correctly! Join Our Challenge Today !! For those who would like to read our boring Terms and Condition about this challenge (the contest not the product), please refer to the page here.